Huge moment in rock climbing this weekend. 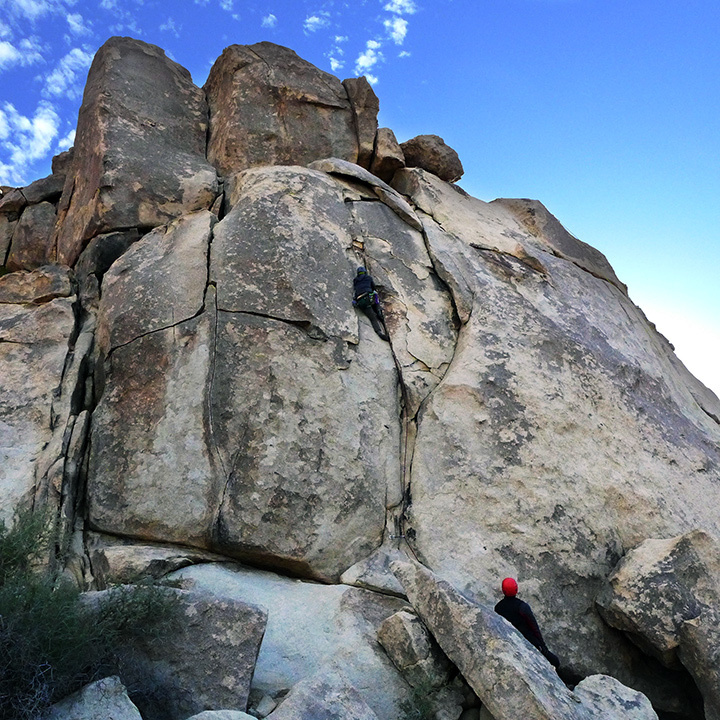 February 28th, 2015 I sent my first trad lead in Joshua Tree National Park. The route is called "Jane Crowley" a 5.8 hand crack with a nice layback crux. Forecast was predicted to be a chance of high winds and rain, but Mother Nature blessed us with clear skies and a calm breeze. Location inside the Lost Horse area is the east face of "Left Hand of Darkness" crag. 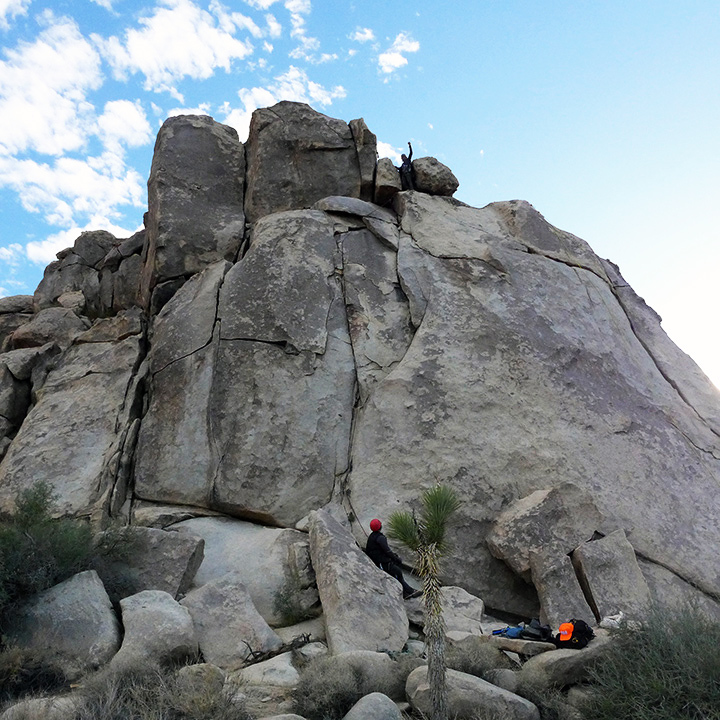 If you're climbing on that wall, don't skip out on "Granny Goose" that's a great climb too! Thanks go out to Lori and Ben of the Dirty Rock Suckers for helping me send my first trad lead!